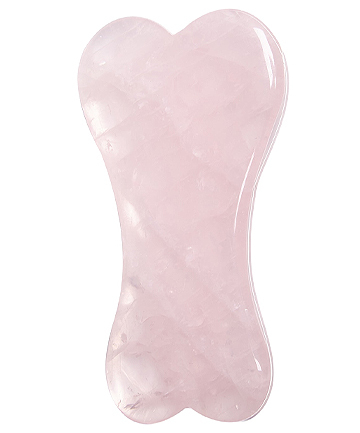 Elequra Rose Quartz Sculpting Tool, $35.70 Facial rollers are great, but if we're being honest, most of them lack control. This tool, designed in-house at London laboratories, is an answered prayer. The small end is used to massage around the eye contour area; the larger end is used along the jaw. It can also be used to apply cleansers and serums without directly having contact between your hands and face. Quick tip: Use the long curved sides to help massage product into the cheeks, forehead and neck.